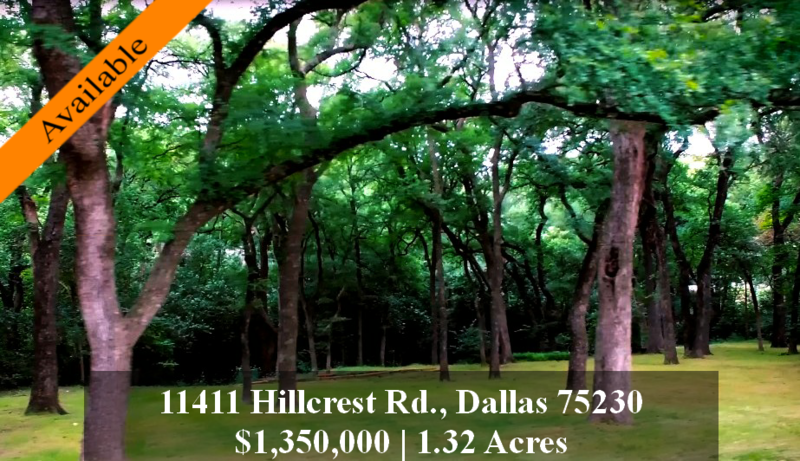 Dallas Luxury Properties | Remarkable, heavily treed 1.32 Acre creek lot. Property widens out at the back along the creek. 152′ along Hillcrest and approximately 284′ across the back creek boundary. Plans for a fabulous home are already in the works at Stocker Hoestery Montenegro and Barrow Durrett can construct it for your clients, or you could bring your own plans and builder.